Real Estate Business Press, 9780996814607, 168pp. Great client relationships are worth a fortune in the real estate business. But when agents retire, most of those fortunes are simply lost-- until now. The Golden Handoff solves this problem. Do you want to grow your business? 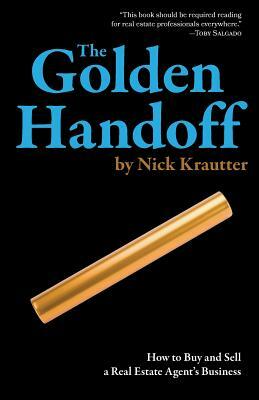 The Golden Handoff has a simple and proven plan to exponentially grow your business by adopting hundreds of clients from agents when they retire. Do you want to retire but can't just walk away? The Golden Handoff shows you how to pick the right agent to adopt your clients and ensure you have income for years to come.